Netflix Channels certainly have a seemingly limitless stock of streamable movies. Sadly speaking, they are not entirely accessible for every earthling in all corners of the planet. Only selected regions in the world could get to readily access some of our favorite parts. Thus, if you’re in Canada, you may not be able to fully access the movies and TV series that are readily accessible when you’re in the USA. This is a sad thing for Canadian users as American Netflix has around twice the number of the TV series and movies available in Canada. The good news is that this will not be eternally a problem. Technology has its own magic. You can have the chance to unblock American Netflix by tricking it that you are in another part of the globe. That way, you can finally have access to hundreds and thousands of various movies that you’ve initially been longing to see. There are actually different ways to make that possible. However, when you try to dig into it, they all do exactly the same thing—alter your IP address so that it could look like you’re in a different place of the world. The best way to do the trick is by using a VPN. As mentioned earlier, processes like that of VPN gets to unblock websites by spoofing them into believing that you’re in a different country. VPN serves as a middleman and you tend to directly connect with the VPN server. For instance, Netflix is available only in certain countries and every one of them has different content. When you attempt to access their sites or services from other locations, their site could easily detect that you’re from a restricted region and would readily deny your access. The most utilized way to block content for those who are within your country is filtering them by IP. Thus, all connections with IPs from other countries will then get blocked. For you to access it successfully, connecting to a VPN server will be a very good idea. Choose a VPN server that’s located in your target country to trick the site and mimic the authorized IP. For example, if you’re from Canada and you’d like to access the content that’s only available in the US, then choose a VPN server located in the US. It will then be so easy for you to get access to more content from the country you’re targeting. VPN works impeccably in altering your IP completely. 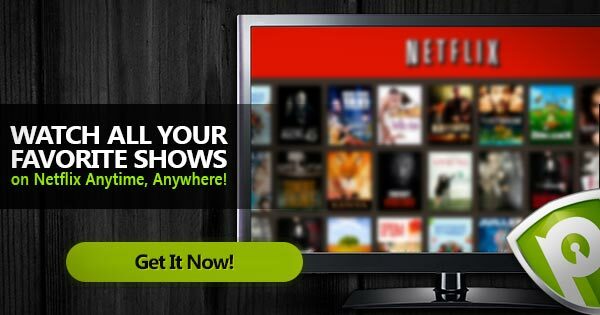 If you are a Canadian who wishes to access USA Netflix or if you’re from any part of the world who wants to access a specific geo-restricted Netflix channel, then you just have to choose a VPN provider that can do the job well. Choose the right provider to enjoy the best VPN experience. It would be best to read some VPN reviews, so you can know which supplier is best to pick. You may also look for those with free trials, so you can test the waters risk-free. Most service providers also offer a money-back guarantee, so you have nothing much to worry about. When you’re using Netflix on Mac, PC, or iPhone, you need not to worry about complex VPN setup since VPN apps are generally available on nearly all devices. Your Internet Service Provider’s methods such as Transparent Proxies and DNS Hijacking could not affect the efficiency of VPN. You’ll unblock all of the sites that have geo-restricted content wherever you are. VPN has good encryption; it encrypts your traffic and makes you surf anonymously. Availability is a boon since VPN is widely available, and there are lots of VPN service providers on the web. Using these methods would not only enable you to access restricted Netflix channels. It would also open more doors of viewing opportunities as you can also bypass other geo-restricted sites, like ABC, Amazon Instant Video, Animal Planet, BBC iPlayer, Cartoon Network, CBC Television, CBS, Discovery, Disney Channel, FOX, HBO, History Channel, Hulu Plus, National Geographic, Nickelodeon, Sky Go UK, Universal Sports, and many, many more. VPN is the more widely preferred option by Canadians to unblock American Netflix in Canada because of its security and efficiency. Its encryption, availability, security features, and compatibility with nearly all operating systems also make it a viable resort. It paves the way for a better entertainment opportunity for every viewer not just in Canada but in the whole wide world. At the end of 2016, Netflix started cracking down on the Canadians that were attempting to logon to the American version of Netflix via VPN. Fortunately, the streaming video service’s clumsy “whack-a-mole” method of blocking VPN servers is pretty easy to sidestep. Read this article on how!